Not afraid of the graft and the grind, Atlanta-based rapper Russell Vitale, known primarily by the mononym Russ, crafted the beginnings of an exciting career in the 2010s by releasing independent singles and albums, forging a name in the city's underground scene. 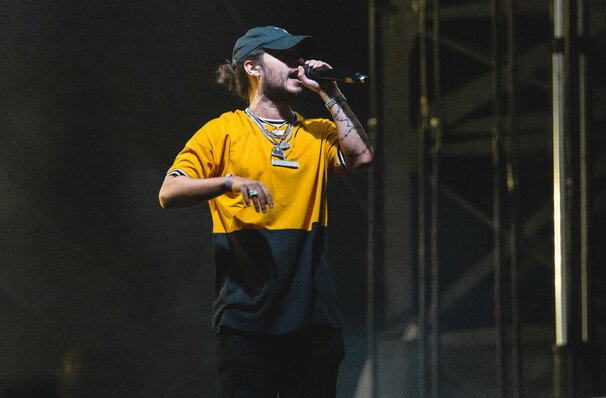 After establishing his own collective and label Diemon, Russ capitalised on his word of mouth success and released his major label debut album There's Really A Wolf with Colombia Records in 2017. Don't miss the hip hop pioneer on the 2018 I See You headline tour. Despite the seeming overnight success of Russ' swaggering hip hop jams and melodic, hazy R&B ballads, this artist has stayed relevant for nearly over a decade by staying true to his unique vision. The uncompromising rapper sings every hook and raps every bar on each of his tracks, as well as producing, mixing and mastering them. In an age of features, paid promotion and the industry machine, Russ and his rapidly-growing fanbase are a testimony to the power of well-crafted, no-bells-and-whistles music. Sound good to you? Share this page on social media and let your friends know about Russ at Staples Center. Please note: The term Staples Center and/or Russ as well as all associated graphics, logos, and/or other trademarks, tradenames or copyrights are the property of the Staples Center and/or Russ and are used herein for factual descriptive purposes only. We are in no way associated with or authorized by the Staples Center and/or Russ and neither that entity nor any of its affiliates have licensed or endorsed us to sell tickets, goods and or services in conjunction with their events.